Dry sweep as needed, wash with warm, soapy water & sponge. Isopropyl Alcohol & rag or nylon bristle brush. The appearance of minor surface scratches or scuffs should diminish after a few months of exposure to the weather and elements. For larger scratches or scuffs, a heat gun (available at most building products or hardware stores) may be used to carefully heat and blend the blemished portion of the polypropylene cap material into the adjacent deck surface area. 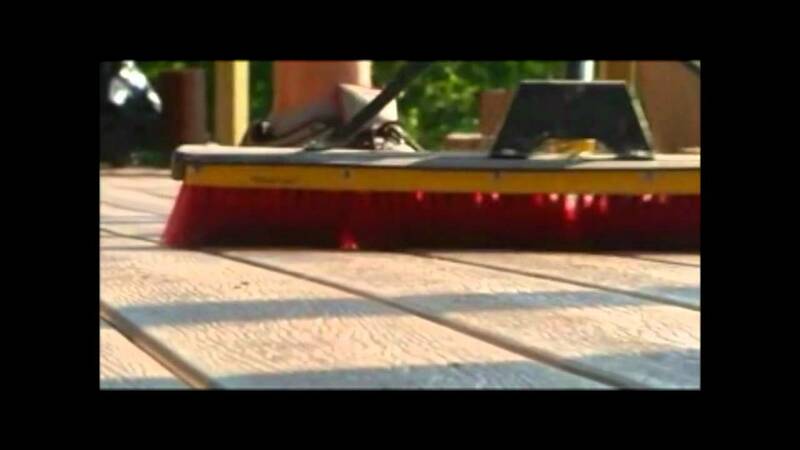 Note: The tip of the heat gun should never be placed closer than 2 inches from the deck surface and should be in continuous motion so as not to permanently damage the surface of the deck board. Do not lay the heat gun on the decking after use. DuraLife's semi-gloss surface will weather to a natural matte finish over time. color variation occurs naturally during the manufacturing process and should be expected. When exposed to the elements, color variation due to weathering may be uneven because of exposure to different amounts of sunlight. Wash with warm, soapy water & sponge. Only use a plastic edge shovel. Use ice/snow melt that will not stain or damage.